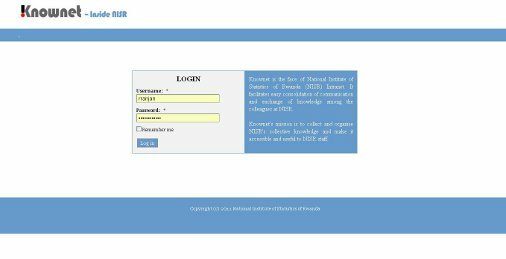 Recently we launched the new version of the Knowledge Management portal in NISR named ‘Knownet’. It has evolved from – almost one year – old version of the portal and builds upon the feedback and suggestions from the staff. One of the major shifts has been the adoption of the “Web 2.0” technologies in the new portal. Blogging, micro blogging, social tagging, social bookmarking, shared calendars, content sharing, etc. have been made integral part of the portal. 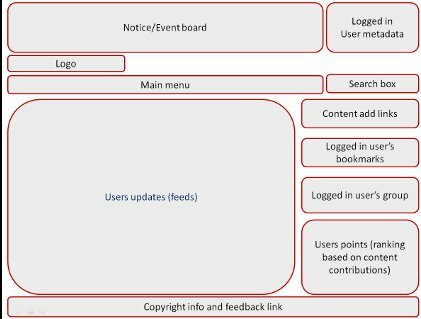 I had used the free and open source CMS, Drupal to build the initial version from scratch, therefore, when we embarked on upgrading it, we decided to keep the CMS same in order to build on knowledge gained around it. Axis – a software organization based in Rwanda, developed the new version with Drupal. It is a major shift because, earlier, the only way the information was expected to flow was from top to bottom or in some cases one to one (think e-mails). Now, it is designed in such a way that the flow of information shall happen in all directions (and also more often). To ensure that, colleagues see value in it and use it, will be the next BIG step.